Odd Job Handyman Services was founded in 2008, and since its birth it has developed an impeccable reputation among its rapidly-growing family of commercial and residential clients. They know precisely who to call when their to-do list grows too large, because the simple fact is that there isn’t a single handyman service in Toronto that performs small repairs, upgrades and redecorations like Odd Job. 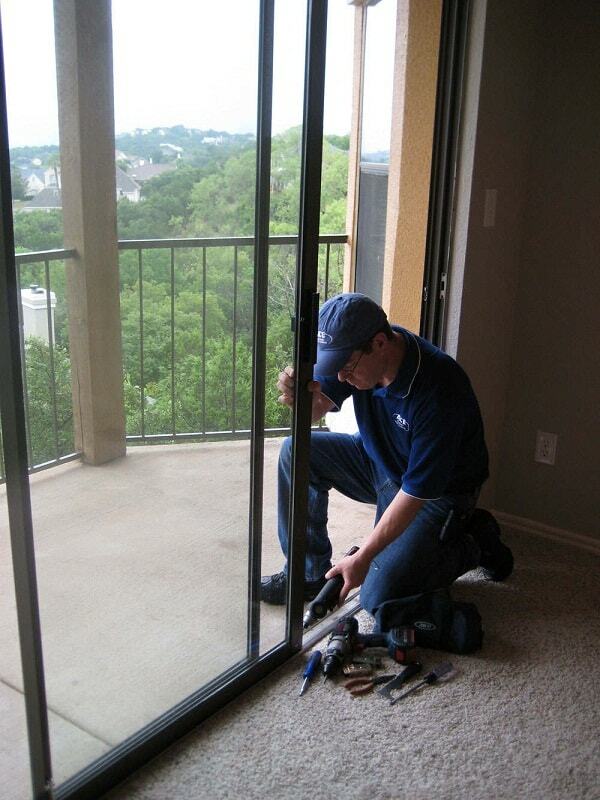 Among our team’s many areas of expertise, however, there are some company specialties – and one of them is door repairs. Today, we’re going to demonstrate that by showing our readers that fixing a sliding door isn’t as hard as you might think! Sliding doors.. they’re beautiful, they’re cool and they have a number of great functions. There are indeed a lot of reasons to love them, but anyone who lives in a space with sliding doors can tell you that there is a reason to hate them too. It’s very easy for your sliding door to become sticky and difficult to move, and even easier for the door itself to go off-track. In either scenario, you feel as if you no longer have a door – instead, you have a large sheet of glass that you’ll always need to lift and push out of your way. Fixing a sliding door, therefore, should be very high on your to-do list. If you’ve never cleaned the door tracks, then the situation you are in was an inevitable one, and fortunately, the solution may well be quite simple. The first step to fixing a sliding door is to clean it. You’ll likely find an abundance of dirt and grime caked in the track. Attack it with a very stiff brush, soap and water, and for extra power, use a cleaning agent – we recommend Mr. Clean’s Liquid Muscle. Continue the onslaught of solvents and elbow grease until your tracks look like they were just installed! Still not working? Don’t fret. This wouldn’t have been much of an article if our best advice was: “Clean the track.” Fixing a sliding door isn’t always that easy. Take a look at the bottom of the door and you’ll find two screws. These are used to adjust the rollers, which control the position of the door. Does it look like one side of the door is lower than the other? If so, you have discovered the problem. Raise the lower side until the door appears even on the track. If the problems persist, turn all of the screws a quarter turn. This will raise the door completely off the ground, and at that point all you need to do is slide it so that it is almost closed. Is the gap between the door and the door jamb even? Congratulations! If the door still won’t slide the way it’s supposed to, you still shouldn’t fret. With the door sitting evenly on a clean track, you’ve laid the groundwork for a door that slides as its manufacturer intended! 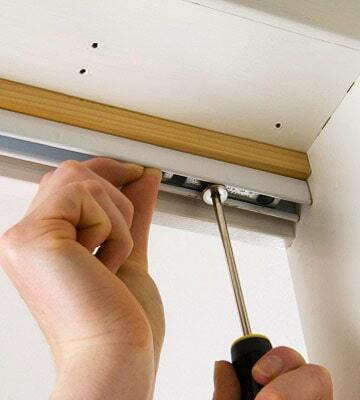 Fixing a sliding door is by no means simple, because there are any number of things that could be going on. Having exhausted the more mundane possibilities, it’s time to remove the door completely and take a good look at the rollers themselves. Removing the door itself is rather difficult. For one thing, the door itself is very heavy. For another, you first need to remove the molding itself – screw by screw. Cutting the paint or varnish line on the interior side of the moulding will make it much easier to remove. Once it is successfully loose and in your hands, grip the door by both edges and gently tip it toward you – roughly a foot into the room. Lift the door out of the track one edge at a time and then carefully set it on sawhorses. It’s time to turn your attention back to the track, because you now have direct access to the rollers. Remove the screws holding the rollers in place and then carefully remove them from the track. 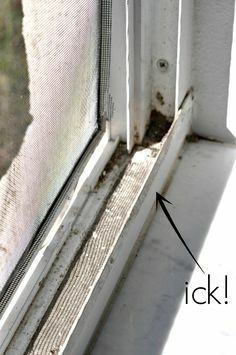 Is their condition similar to that of the door track before you washed it? If so, then this may in fact be the issue. If the damage appears a little more permanent that, then remove it and replace it. 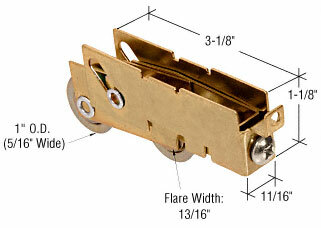 You’ll be able to find new rollers for your door at major home retailers and lumberyards. The old rollers themselves will bear the name of their manufacturer, so finding the right replacements shouldn’t be too difficult. Enjoy watching your sliding door actually slide again! 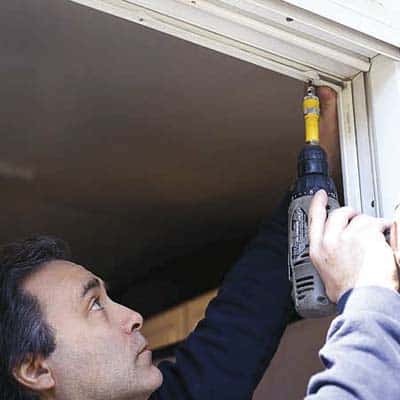 If fixing a sliding door is starting to sound a little difficult to you, don’t feel bad. You’re right – it’s a huge headache that no one should really have to deal with. Even if you’re the type who lives by their hands, a project like this is probably going to take you a few hours at the very least. You’re also going to need to lift an unwieldy screen door off its track – which, if we’re going to be very honest, is difficult for most people to do alone. And even after all of that, you’ll have to find the rollers. Fixing a sliding door is a major drag! Of course, you could do it yourself – but do you have to? Well, heck no! Why not make a call to your friends at Odd Job? A single phone call and you’ll have secured a booking with a team of bonded, insured, and fully licensed professional handymen with a great attitude who have repaired every type of door you can imagine. Just give us a call at (416) 520-1161 or take a few minutes to fill out our nifty online “book-a-handyman” form – schedule your visit today! Meet Odd Job's Mobile Workshop! 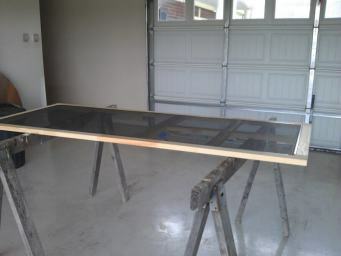 This entry was posted in Blog and tagged fixing a sliding door. Bookmark the permalink.